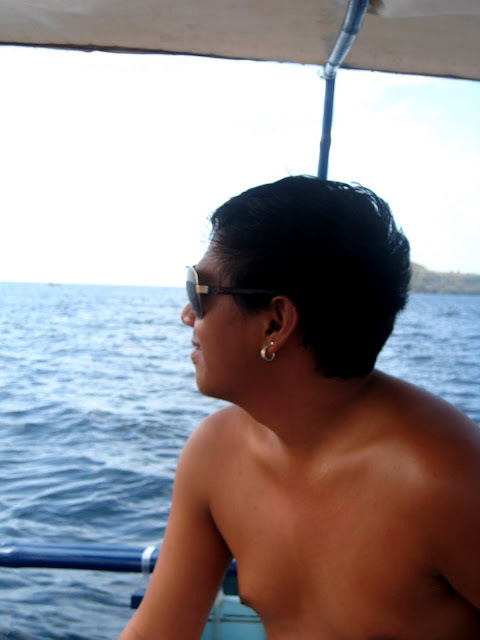 ALL-TIME FAVORITE POST FROM 2010 RE-BLOGGED: After four hours of ferry ride from Dalahican port in Quezon to Sta. Cruz port in Marinduque... at last, i have finally arrived to my destination - The Great Island of Marinduque! I arrived in Sta. Cruz together with about hundreds of passengers. If you want to take your time, your call, but it's not highly recommended. You see, transportation is scarce in this province. Whatever happens, no public jeepney or other mode of transportation such as FX travel after 4PM. So if you know you will be traveling for about two or three hours, get to the station in the morning. For folks out there reading this, not all ferries to Marinduque dock in Sta. Cruz, it just so happens the only ferry available when i went was bound for Sta. Cruz. But don't worry as you will read later on, Marinduque is a very small province. People have told me its possible to drive around the island province in one day. Thankfully i have few days to explore each municipality. I arrived about three in the afternoon in the port of Sta. Cruz. 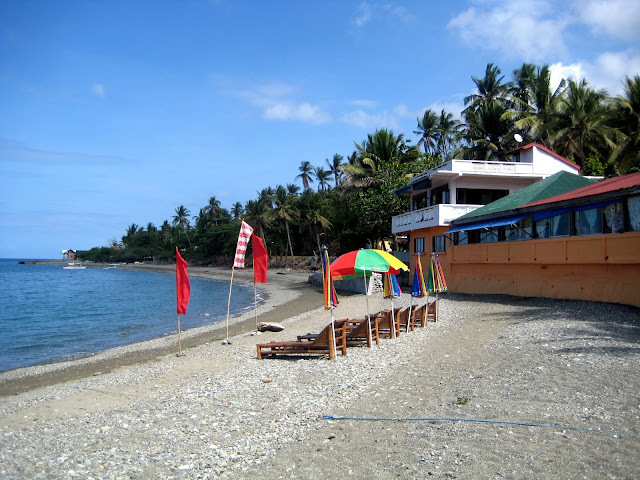 From here you can travel to Torrijos for the white beach or head to Boac or to Gasan. I will travel around Marinduque sorta clockwise, starting in Gasan. The jeepney was full and i saw so many people sitting on top of the jeepneys. So what am i going to do? I climbed to the jeepney's roof and settled on top of the world. Yeahhhh... For about two hours maximum, i was on top of the jeepney passing by lonely quiet afternoon walkers, lush coconut plantations, crazy cliff to the left and right and the majestic view of the mountains and clouds. I didn't want to go down anymore. Not until the jeepney reached near the town of Boac where it's prohibited to do so. I couldn't believe my eyes, it's so unforgettable for me because one, it's a first time for me here in the Philippines (i know, my bad as I've experienced this outside the Philippines first) and two, the view was so breathtaking. Two, hardworking men who work taking the fees from passengers managed to climb up the jeepney while it's moving. How did they do that? Anyway, while on top of the jeepney i was able to chat with them. Get to know Marinduquenos and what they're like. They were pretty friendly to me. I told them it's my first time in the province and it's my first hour traveling and i love it already. The people here are just the best. They are nice but not so nice and the best part is they're REAL PEOPLE. I asked them a few questions. Smoked for a bit. Borrowed lighters. I wanted to talk long but i couldn't focus because of that great view. Gasan and Boac are fairly near from each other and you can travel for 30 minutes or more depending on the speed of the driver. But the drivers in Marinduque are very good. Not too fast, not too slow and what's good to note is they are very safe. They don't like overtaking here, and they manage to decrease speed when there's cliff to the sides. I am very impressed. After about a few hours, i got down to the "bayan" of Gasan right in front of the Church. There was a procession going on. 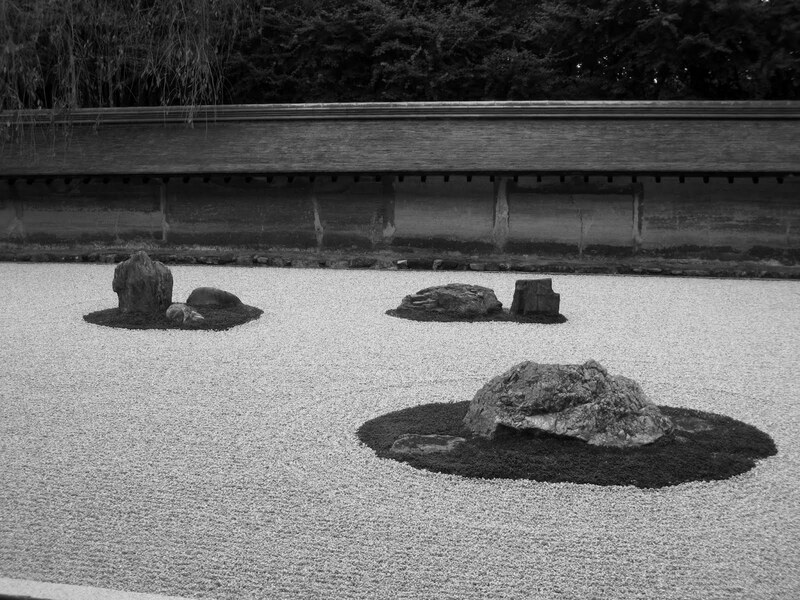 I didn't take much photo because i wanted to respect the silence of the people. They were there to pray. It's the holy week, right? After walking around for a bit, eating P10 hotdog on sticks and smoking a few ciggies. 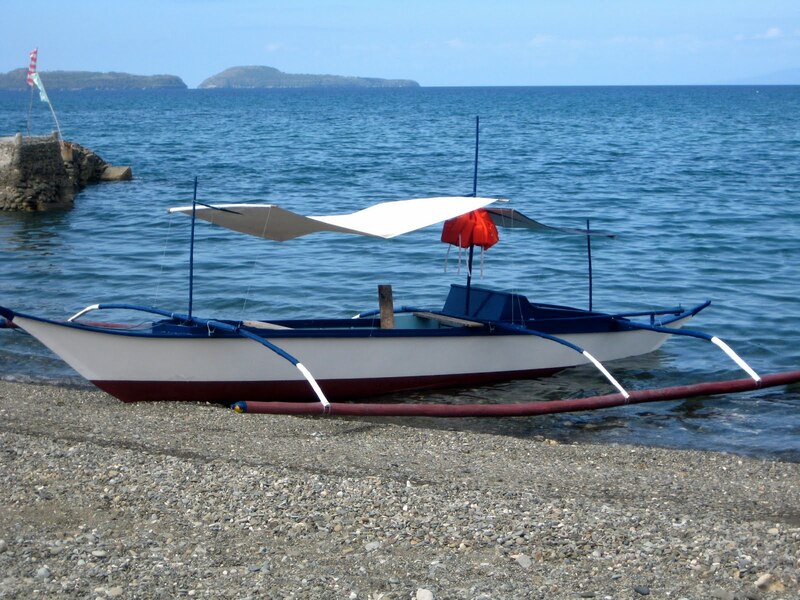 I managed to pick up a tricycle that will bring me to a nice looking resort in Gasan. One of the main reasons why i wanted to leave as soon as possible is because i was getting much attention from the people with my backpack and clueless face where to go. If other people i know love the attention, i hate it. I hate it when it happens. I always want to blend in. Without a doubt. So, i hailed a tricycle that will bring me to either "Katala" or "Club Marinduque". 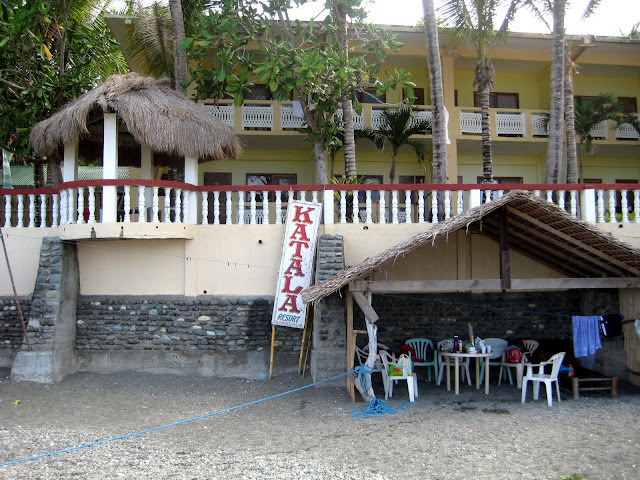 Coming from the bayan, "Katala" is nearer so i got down there first and asked the concierge for available rooms. There was none that's AC but there's one available fan room. I walked around for a bit trying to spot if there's anything that will cause me problem later. None so far. It looks like a pretty legit resort with about a couple of rooms mostly occupied by western families and some lovers i chit chatted for a bit. The beach front isn't exactly the bomb as its mostly pebbled but the hell i care. I wanted to check out Club Marinduque but someone told me it's already full. I didn't try to check it out for myself because it's the holy week so there's about 80% chance he's telling the truth. I got down from the tricycle and headed for the room. Dinner at Katala Beach Resort took long. Mainly, the reason for this is the lack of people manning the place. But i didn't care. The food was good but a bit expensive for my budget. After a hearty meal, i chatted up with a friendly German guy who's living already in Gasan. Quite the character, i must say. He is now living with his Filipina wife and a couple of children. He bought me a few beers and started talking about his life which is very colorful. For a writer, he's a good research material. To cut the long story short, he's a very serious guy with a good sense of humor. He switched the channel which was showing a Filipino movie about a fat girl and handsome guy to Discovery Channel. The episode was how good cheese is made. He insisted his children who was with him at this time should learn something else other than buying this and that. You could see through him how much he loves his kids and will be willing to do anything for them. After an interesting chat, i bid him goodbye because i was feeling a little tired from almost a day of traveling. A few hours later, i found myself chilling by one of the bamboo reclining chair and drinking three more bottles of San Miguel all in all while listening to chillax music from Moby and Coldplay. It wasn't an exciting night but i felt very relaxed. Looking at the stars, listening to great music and having a cold bottle of beer always does it for me. A few stray dogs left a little tinge of fear but it all went down when the in house dog managed to secure me from the mad group of askals. Good Dog! The sleep was good, i woke up at around 9AM and had a very good breakfast. During holy week, most people abstain from meat, but i have an open mind and picky tummy so i managed to eat a good meal of beef tapsilog. There's a restaurant inside the resort so you don't have to go somewhere else and wait for a non-existing tricycle. You could rent or just go to one of the few huts scattered along the beach front, have your food cooked (if you can) and enjoy the lovely view of a clean well maintained beach. A few hours later, i brought with me my backpack packed with beach essentials and headed to the great islands of Tres Reyes. 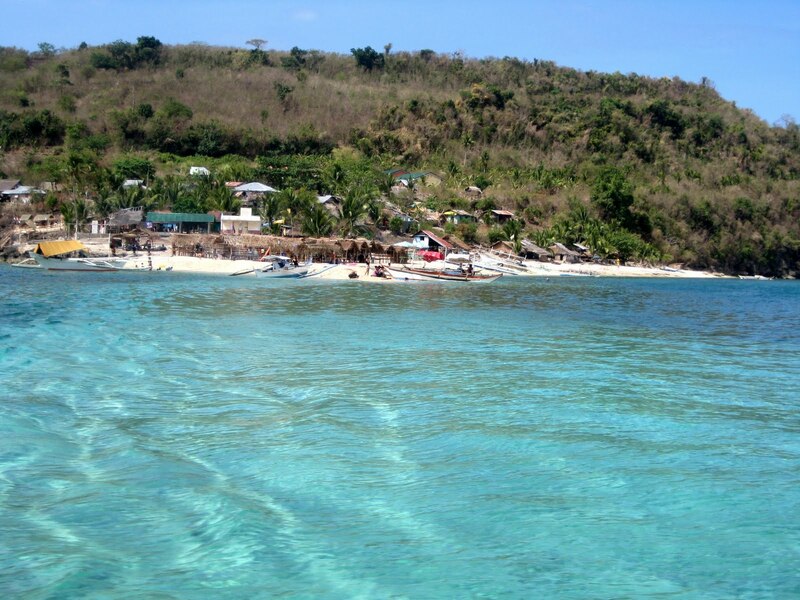 If you intend to island hop in Tres Reyes, Gasan is your jump off point because of its proximity to the islands. From any point in Gasan's coastline, you could see the three little islands of Tres Reyes. It'll take you one whole day to explore the three islands namely: Gaspar, Melchor and Baltazar; the three kings of nativity. From the three, only Gaspar is inhabited by the locals, the other two are quiet islets. 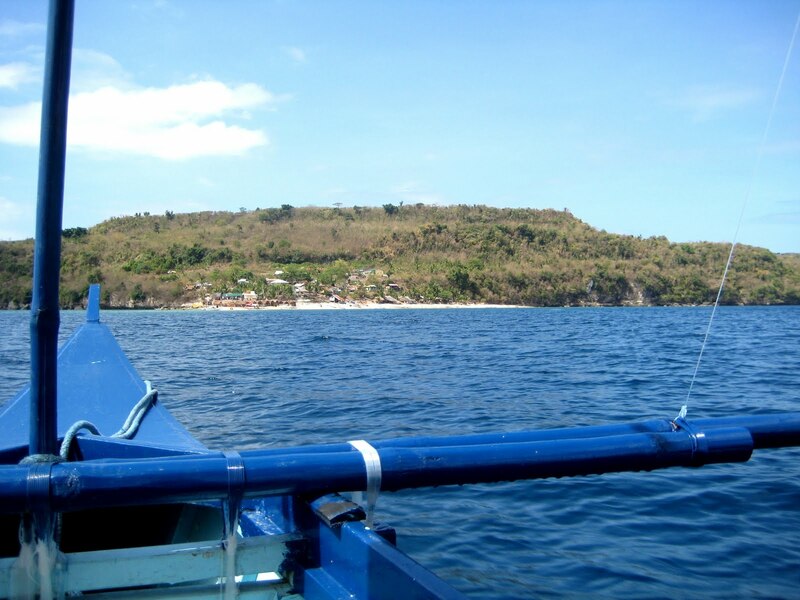 The trip from "Katala beach resort" in Baranggay Pinggan in Gasan to the beautiful Tres Reyes islands will take you 30-45 minutes depending on the waves. When i went there, the sea was calm. The trip was via a rented boat from the resort for about P1500 or $30. It's cheaper of course if you're not traveling alone and sharing it with a few other people to break the cost. 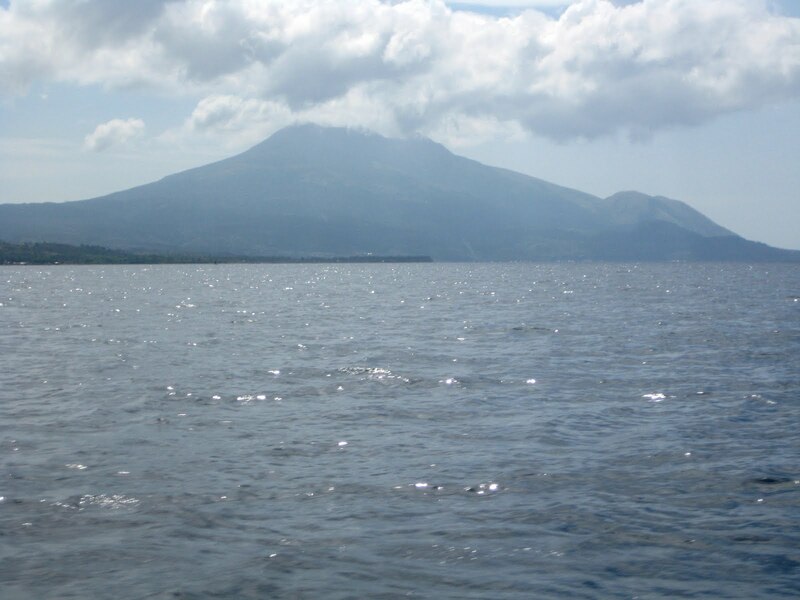 On your way to Gaspar Island, to your left is a great view of the majestic mountain. Further to right is the tiny little egg shaped island of "Elephant Island" or nowadays more popularly known as "Bellaroca". It was a really good trip. The boat driver is a very cordial guy. He actually suggested a few places and carefully chose one island which is supposedly the best. This photo is taken on my way to Gaspar Island. The very next day since i arrived, i already knew i picked the most perfect destination. Marinduque is doing me some wonders. It's an off the beaten path, the people are so warm, and there's just so much to explore. From the boat, you could already see the white sands of Gaspar Island. In the islands is a small community of locals. The island is actually a protected marine sanctuary so expect the underwater world as beautiful as what can be seen by the naked eye. The boat driver could definitely see the delight in my eyes as i pointed out and shouted Gaspar Island amidst the throbbing sound of the boat. He nodded and the smile never left my face. Like all the beautiful islands in the Philippines, as you approach further Gaspar Island, the waters become clearer, and hues of emerald green appea. A few lonely boats were sailing, some were docked. A few lonely souls frolicking in the white sands of Gaspar. Realization: God is very funny. It's such an irony that for a very poor province like Marinduque, He truly blessed it with all the natural riches. It's so beautiful, it's so enigmatic, it's unforgettable. 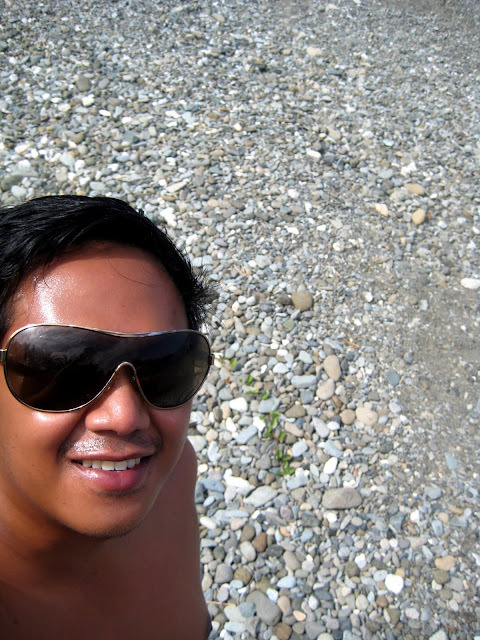 Up until now as i write this, i couldn't believe i went to Marinduque. I am forever in love now. marinduque is not the "very poor island" mate. The GDP compare to the other area of the Phils is relatively high.